Cholera, syphilis, scarlet fever, tuberculosis, typhoid, leprosy -- antibiotics have I helped hold these and other diseases in check since the beginning of the 20th century, and the prospect of their return is what keeps epidemiologists up at night. But antibiotic resistance is cropping up all around, even in some of the most well-outfitted hospitals in the richest country in the world. The solution to this problem is unlikely to come from Big Pharma: Doctors often hold the newest antibiotics in reserve to forestall the advent of resistant infections, and while it makes sense from a health standpoint, the practice discourages sales of new medications, preventing investment. 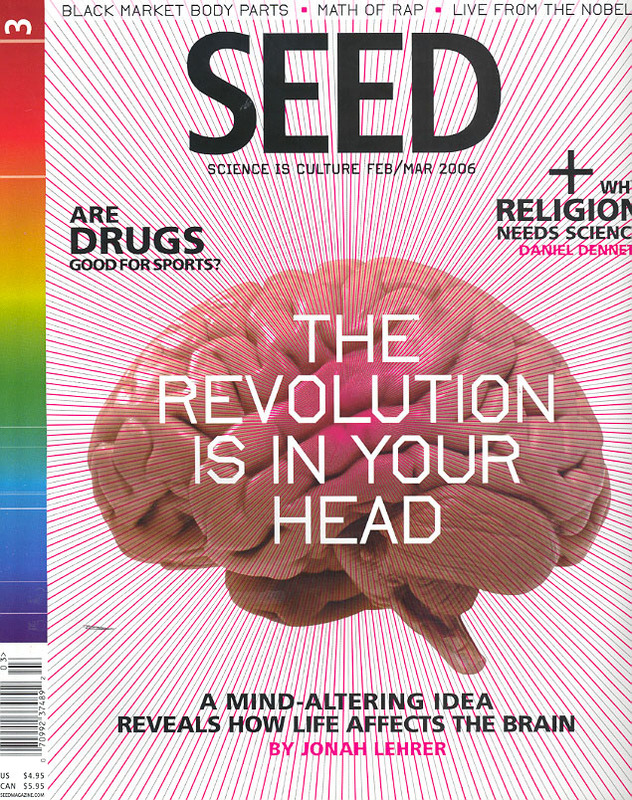 Instead, the answer may come from tiny US biotech firms and a once-decrepit lab in Tbilisi. The history of antibiotics is a cat-and-mouse game of "bugs versus drugs." A disease crops up, a drug is produced to fight it, and the bacterium evolves resistance to the drug, rendering the medicine ineffective. Mass production of antibiotics vastly increases the selection pressure on bacteria, causing them to evolve mare rapidly. And over-prescription of the drugs, along with their use in mass farming operations, has made it worse. Hospital infections treatable just a few years ago are now killing patients again. But there is another way: tiny viruses that attack bacteria called bacteriophages, or phages. Developed primarily in the former Soviet Republic of Georgia, some strains are commonly used as a tool in genetic engineering, but their potential for fighting bacterial infections has remained obscure to physicians in the West for decades. Now, some doctors hope soon to develop treatments. While antibiotics are stable chemical compounds that invite the evolution of resistant bacterial strains, phage viruses are living organisms that evolve right alongside a bacterial infection. In this antagonistic co-evolutionary race, resistance to phage treatments is rarely a problem. 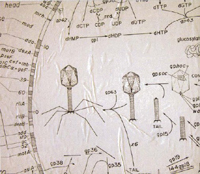 Bacteriophages are incapable of infecting humans. Because they live off the bacteria they fight, they concentrate at the site of infection, and since they reproduce as they kill, a small dose is effective. Plus, they're easy to come by: Phages are everywhere in the environment. There seem to be at least one that preys on every strain of bacteria, and to find those that fight infections, one need only find a repository of human bacteria. In an apparent inversion of all of Pasteur's and Lister's principles, cures are found in pus, urine and feces. And unlike with antibiotics, which cost millions to develop and bring to market, on the rare occasions when bacteria do become resistant to a phage drug, microbiologists need only return to the sewer for a new strain of killer. Hurdles to US clinical trials, however, are many. Though widely used in the former Soviet Union, Western researchers have found little they can sink their teeth into in the way of scientific studies on phages by the Soviets: There were no double-blind trials, and the remaining studies are often viewed as unsatisfactory. "There are a lot of applications in Russian [medical] literature that describe the use of phages, and many of them include controls," says Alexander Sulakvelidze, a Georgian microbiologist and professor at the University of Maryland Medical School who, with physician Glenn Morris has launched a startup, Intralytix, Inc. to pursue phage treatment. "The problems with those publications are that they are in non-English literature, their scientific style is very different from what one is used to seeing in English [language] scientific publications and some of them are censored. For example, the military was one of the heaviest users of phages so you won't be able to find exactly how many patients were involved in their studies or other crucial data"�. "This is something [the FDA] has never approved before," says Sulakvelidze. "There is nopre-made list of things that need to go into this approval process. There's no list to go down...and the end say everything is done you can get approval." One clear requirement that the agency appears to have set is that all the phage viruses in a treatment be thoroughly characterized, genetically sequenced and kept constant. Firms currently seeking FDA approval have agreed to this approach, but those further from trials, like Phage International, in the Bay Area, are critical, claiming that limiting the genetic variability of the phages will eliminate their inherent strength. "The FDA says that our requirement is that you stop the very process that makes it work," says International's Ronald Gossens. But, like a true entrepreneur, Sulakvelidze is optimistic about phage: "I think their time is going to come"�.